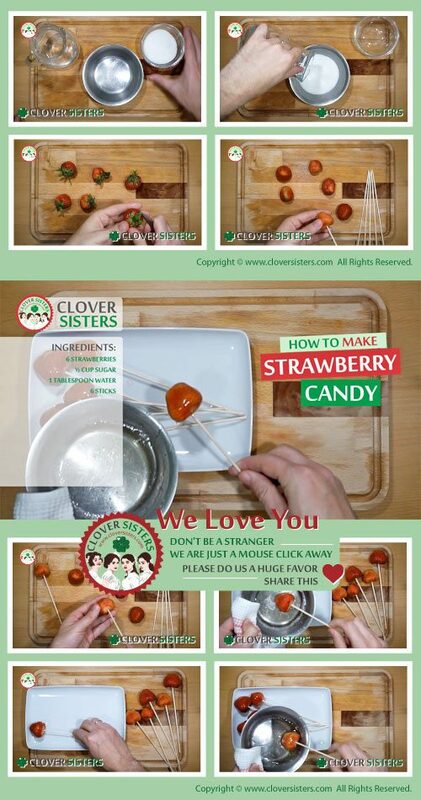 Hard candy on the outside and softy, juicy strawberry inside, and preparation is so easy and brilliantly interesting, enjoyment all the way. Line tray with baking paper. 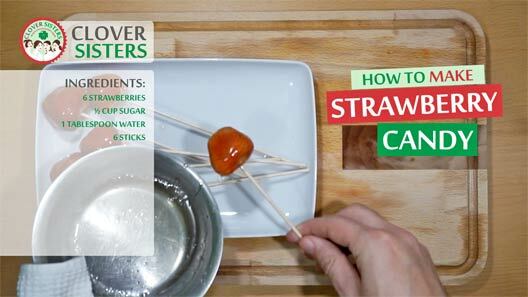 Put strawberries on the top of the sticks. Combine sugar and water, heat and stir until sugar is dissolved. Boil until turns golden. Dip strawberries into mixture and carefully place on the backing paper to cool down.